Arrow Creek Cabins is a modern, HTML5 website. The homepage represents a clean design with modern typography. An eye-catching jQuery slideshow rests on the homepage and showcases the best photos of these beautiful cabins. The website’s header has a photo of the cabin and its view. The Photo Gallery showcases professional photos from all three cabins. Clicking on photo thumbnails brings up the full-size photo. The HTML5 website has been coded to be backwards compatible with older browsers that don’t support the new, modern features. The website has a page for each of the 3 cabins. The cabin information pages have details about each property, photos, and rates. Reservation and contact forms are available for interested individuals to inquire further about these Smoky Mountain cabins. Subtle CSS3 gradients, backgrounds, textures, and shadows help bring the website together. Pioneer Media actively provides website management and web hosting services for Arrow Creek. 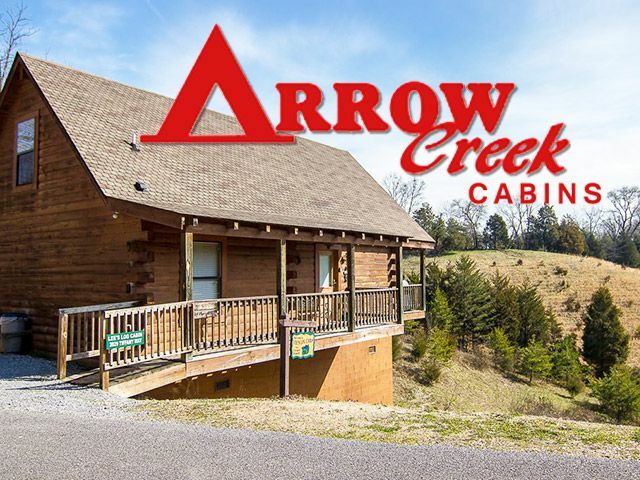 Arrow Creek Cabins are three beautiful cabins located in the Smoky Mountains, right outside of the famous Gatlinburg and the Dollywood theme park. These cabins are exactly the kind of cabins you would expect to stay in at the Smoky Mountains. The cabins are close enough to town to be convenient yet far enough away to enjoy the peace and quiet. You will absolutely enjoy your stay at Arrow Creek.